We are delighted to present Sterling – our custom bronze frog. A stunning combination of a silver nitrate patterned patina together with a golden underbelly. This special frog – in a limited edition of only 70 – is based upon the soon-to-sell out Firecracker which means this sculpture form will never be used again by Frogman in any variation. Sterling is only available from ARTfull in Milton Keynes | The Stani Gallery in Stony Stratford | Quay Art in Padstow and online from Bronze Frogs. Buy Now or Contact Us for Specific Edition Numbers (subject to availability) and USA Delivery. Sterling is 1240 years old ! Born about 775AD, when “sterlings” or silver pennies were the main currency in Anglo-Saxon kingdoms, they were originally coined to keep Viking raiders away by paying protection money. A century and a half later Athelstan, the first King of England, founded a series of mints across his newborn nation and sterling became the national currency. The name being linked to the meaning of “ster” in old German – strong, pure, stable, reliable, or excellent. Sterling Silver retained importance through the middle ages until subsequently being replaced by gold as the currency standard. Sterling was held in very high esteem and we hope you agree that our limited edition sculpture upholds that tradition. 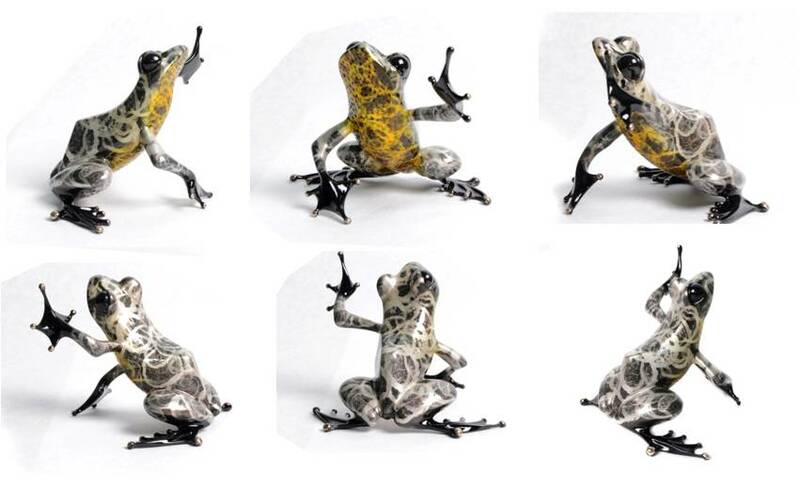 This entry was posted in Rare Sold Out Frogman by Bronze Frogs. Bookmark the permalink.